Annette has over 20 years of experience providing tax compliance, consulting and structuring services to a wide range of funds including private equity, hedge funds, venture capital, hybrid funds and fund-of-funds. 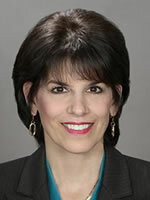 She is also a member of Plante & Moran’s Real Estate and Construction Group. Annette assists fund owners/managers with the tax and economic structuring through the entire fund cycle, from inception to exit. She works with large, middle market and small funds. On the fund raising side, Annette is able to offer, and negotiate, a wide range of structures tailored to the needs of the important constituencies – US taxable, US tax-exempt and foreign investors, and sponsors. She will also assist in general partner and management company arrangements to maximize the after-tax returns. Annette also provides tax planning and consultation to closely held companies and individuals involved in the real estate and construction industries including developers, retail, residential and mixed-use projects.